Ornamental grasses have become popular landscaping plants, particularly in transition zones such as the edge of a yard or between areas such as a small pond and garden. Most ornamental grasses are fast-growing and will grow from 2 to 6 feet in just one season. They add plenty of color and texture to a landscape without incurring much expense. These grasses look best when planted in mass, but they can become invasive in some areas. This fast-growing ornamental grass can reach heights between 14 and 20 feet. It is often used as a background planting, and is known for its large green stalks with accompanying white stripes. This grass spreads rapidly and can easily become invasive in some regions. Giant reed does best in full sun and is the tallest of all the ornamental grasses. Blue Lymegrass is a shorter ornamental grass with a height of 2 to 3 feet. It is prized for its steel-blue shade and coarse texture. Since this grass also spreads rapidly, it is best used in open areas to prevent it from becoming invasive. Blue Lymegrass does best in full sun exposure and must be pruned each fall in order for new foliage to show. Ribbon grass is known for its ability to grow in a wide variety of soil conditions and is slightly drought resistant. Although invasive, when planted with care, ribbon grass can add beauty to any landscape. The grass will flower mid-summer throughout autumn. Ribbon grass does well in both shade and full sun conditions, although when planted in the shade it tends to not be as invasive. It will reach heights of 3 to 4 feet. Prairie cord grass reaches heights of 4 to 6 feet and will tolerate a wide range of soils. Its stems are upright and arching with a deep green, glossy cover. It does best in full sun but can also thrive in light shade. This ornamental grass is salt tolerant and is found in warmer climates. This ornamental grass is best when planted in mass. Reaching heights of up to 3 feet, fountain grass will display a purple flower in mid-summer which continues until fall. In the fall, the flowers reveal a golden-yellow color. It does best in full sun but is tolerant of light shade. This grass prefers well-drained soil and has a moderate drought tolerance. Fountain grass is often planted in the middle of borders amongst other perennials. 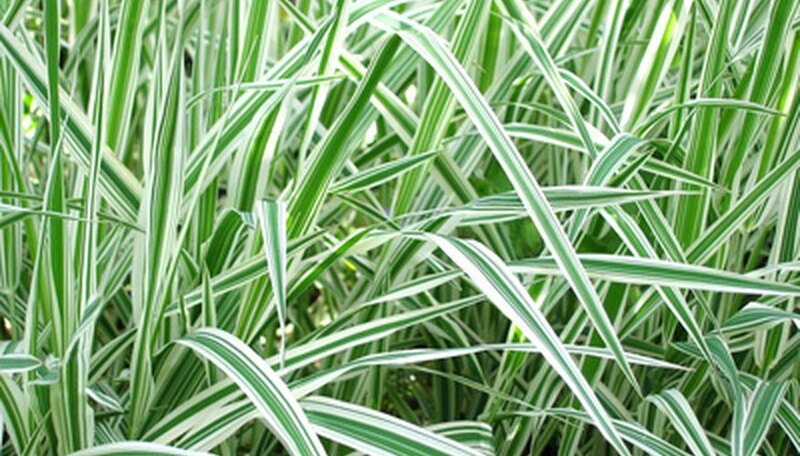 Its delicate arching leaves and flowers make it a favorite among ornamental grasses since it will establish quickly.